I get emails all the time about our wedding. Camp weddings have become more and more popular and I love that! 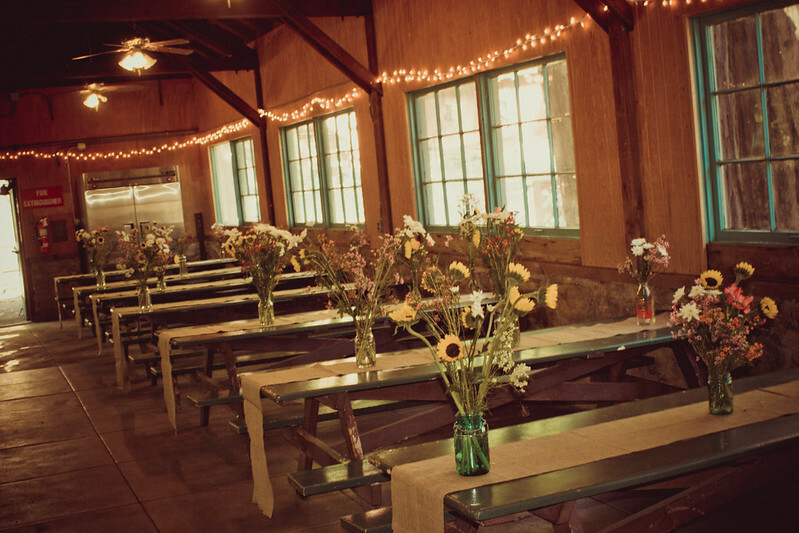 Let’s begin with a little back story on my wedding: We got married at Camp Seely in the San Bernardino mountains. I didn’t so much “find” it as it has been a part of my life since I was a kid. My family would go there every year, along with my extended family and lots of other family friends. I’m sure we’ve been there a dozen times and to get married somewhere that I already had so much history with just seemed perfect. 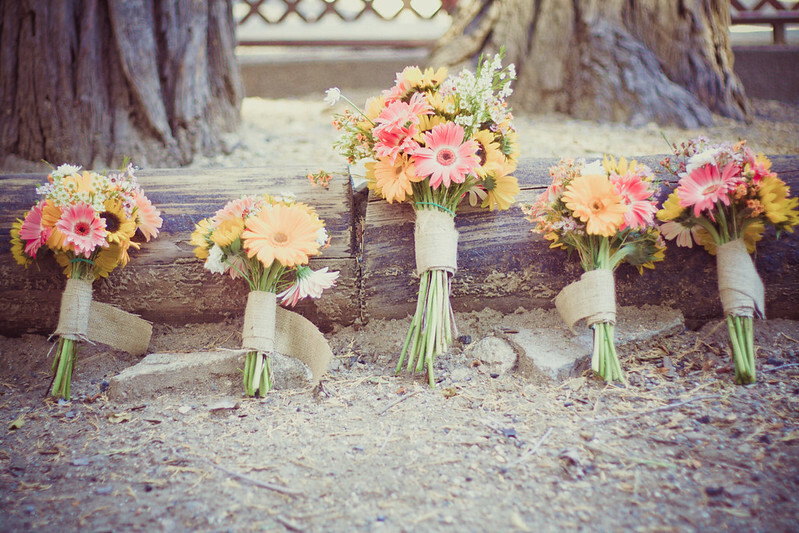 Is a camp wedding right for you? Blaine and I are both nature lovers. Looking at beautiful photos of camp weddings aside, are you sure a camp wedding is right for your wedding? Do you like camping? Do you like to be outdoors? This might not be the case for all campgrounds, but for most of them you have to remember it’s a campground, not a resort. There are bugs and dirt and all that fun camping stuff. Just because you’re having a wedding doesn’t mean those things evaporate, they exist. Walking through an un-manicured field was a challenge for everyone in heels and you should’ve seen the bottom of my wedding dress by the end of the night. But I had the time of my life and could care less that my white dress had a brown ombre effect going on by the time we were ready to turn in for the night. Look up your local campgrounds, check with your city or state with a list of camp grounds and if they allow events. 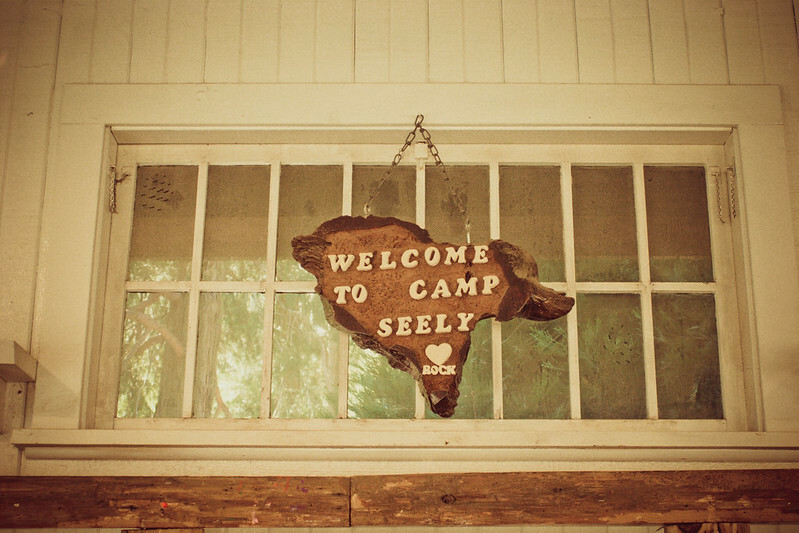 When we booked Camp Seely we knew that we could book the whole campground and that random people at our wedding wouldn’t be an issue. Visit the campground to make sure it’ll work for your vision. I’ve gotten emails from a few brides who wanted to plan the wedding without visiting the site. I had been there dozens of times and it was still hard to plan and envision everything, so I wouldn’t recommend going off of pictures for a challenging venue like a campground. The campground that we got married at does not have cell reception. That means if guests, vendors, etc. got lost we couldn’t help them or even know that they were lost. If we forgot something, we couldn’t call someone and ask them to pick it up on the way. With a wedding in a location that isn’t made for events it’s important to organize everything and make sure you have everything covered. Lucky for me, I only worked part time while planning the wedding so I had free time to research and organize everything. Run the entire wedding through your mind and create lists and reminders. Run it by friends and family to make sure you aren’t forgetting something crucial. I keep saying this, but most campgrounds aren’t made for events like weddings. I’m pretty sure we were the first people to have a wedding at Camp Seely and while the groundskeeper was amazingly helpful with information, he seemed a little iffy about it at first. If alcohol is important for your wedding, make sure to call and ask about that. Most city/state properties won’t allow you to serve alcohol. Create a list of everything that’s important to you and your wedding, no matter how dumb or simple, and ask away! 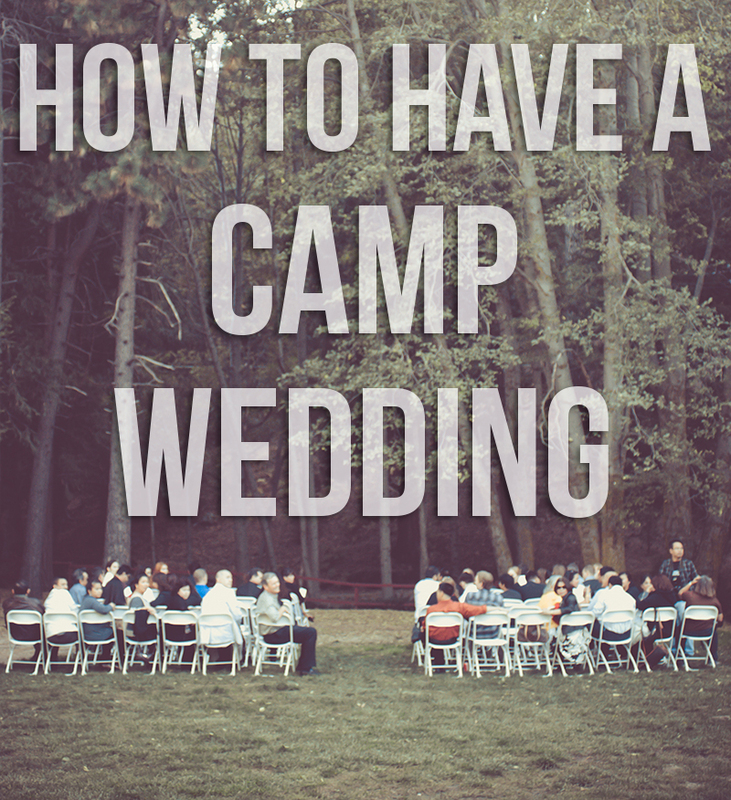 Here’s one piece of advice for anyone thinking of a camp wedding. Be flexible. You aren’t getting married at a venue that does dozens of weddings a year. If you are picky about every little detail you have a few choices: chill out, hire a wedding planner or pick a more controlled location. My photographer commented at how everyone at our wedding was so relaxed, calm and happy. Considering the fact that I had a team of family and friends helping out and the only things we hired out were chair rentals and a family to help clean? I think we did pretty well with the stress levels. I think my mother in law was more stressed than I was. I just knew that everything would be fine, I was going to marry the love of my life even if everything wasn’t perfect and that we were going to spend the day with everyone we cared about. No bridezillas here! Hopefully if you’re hoping to have a camp wedding this info will help you out a bit! I hope I don’t sound rude or negative at all, it’s just that when people contact me they have this dreamy vision of a camp wedding and it is really a lot more work than it looks like or would be if you had it at a “normal” venue. Keep in mind you’re taking a lot on with this type of wedding, but if that’s your dream it will be totally worth it! How fun! I love that idea! This is something I would have totally done too if we lived in a different location :). It was SO much fun and I’m so glad we did it! Thanks Tamara! 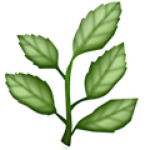 Really great post! We had our wedding at a lodge on a small lake (well, pond really). It turned out perfect, but it really does require a lot of planning for this type of wedding. We planned for a year in advance, and I was nearly pulling all nighters the week before the wedding to get all the last minute things done. Luckily by that point you learn when enough is enough and let some things go that aren’t that important, and you have a great wedding that you worked so hard to have! There’s no other feeling better than knowing you pulled an event off successfully with careful planning and the help of your family and friends! I would love for a bride to have a camp wedding. I love to camp and being a photographer it would be an amazing shoot. Thank you for the fun blog. Beautiful wedding! I haven’t actually seen a camp wedding before! Really unique! 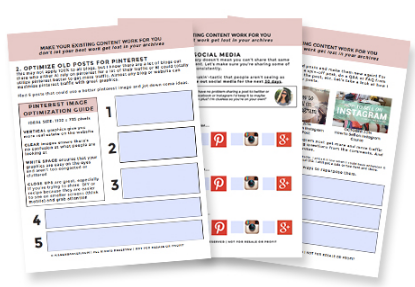 I found your blog by following a few links in a wedding blog. It mentioned that if you went to your blog there was information on how you scheduled the event and how you did your invites? I’m not finding it on my own. Also, you mentioned that you rented out the cabins, how did you handle that? My sis is seriously considering a wedding at Camp Seely, and these have been a few of her stumbling blocks. Any insight, links would be awesome! Hi Danielle! We did our invites normally, but then on the back (we had modern postcard style invites) had info on lodging, etc. We also had a wedding website (no longer up) with details and registration for cabins. Once I had everyone staying I assigned people to cabins based on family/friendship, etc. Hello! My fiance and I are trying to book Camp Seely for our wedding this October 🙂 We drove up to Crestline this past weekend and LOVED it. Do you have any recommendations, ideas, tips to make the cabins a little cozier, even just minimal decor? 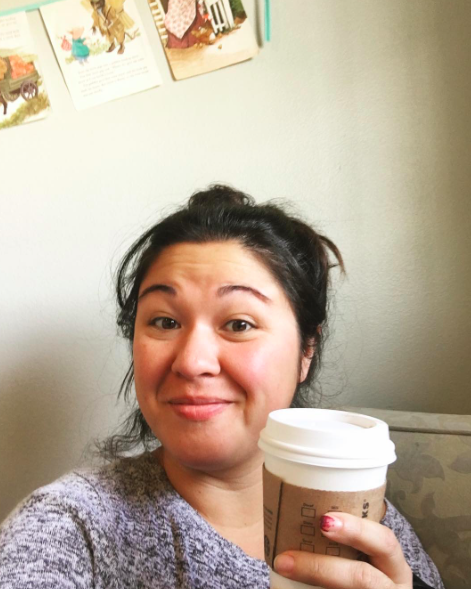 I talked to another bride who had her wedding at Camp Seely, and she also recommended that people bring air mattresses to be more comfortable. Also, did you have any people freak out about the shared bathrooms / showers? Thanks so much!! I didn’t decorate cabins, so I’m not sure! Maybe put some flowers and a warm throw in each cabin? I don’t think anyone freaked out about the shared bathrooms/showers. If they did, I never heard about it 🙂 I’d say about 1/2 our guests had been to Camp Seely before and knew what to expect. For everyone else we made sure that people knew the situation. HI! i am considering having my wedding here but i heard somewhere that you are not allowed to have alcohol is that true? That’s true. It’s a city managed facility and doesn’t allow alcohol. Love it! I was amazed by the photographs. I really love the settings and the decorations that was used especially the flowers on the wood. Thanks for these inspirations.